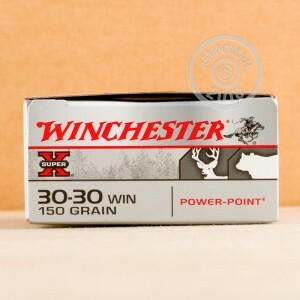 This 30-30 ammunition from Winchester is an excellent hunting load designed to fire safely in rifles with tubular magazines. 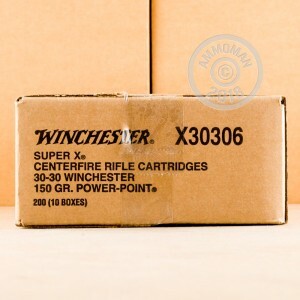 Each cartridge in this box of 20 fires a 150-grain soft point bullet at a muzzle velocity of 2,390 feet per second. 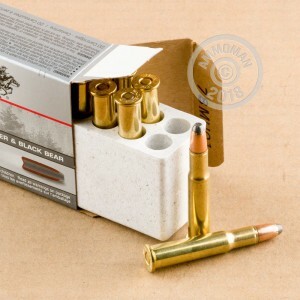 Soft point rounds are ideal for game animals such as deer because they expand reliably at rifle velocities but don't fragment and cause excess damage to meat or trophies.